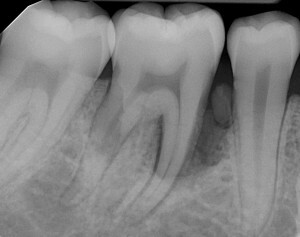 The bone loss and pocketing caused by gum disease has traditionally been treated by removing the infected gum tissue and smoothening uneven bone tissue. 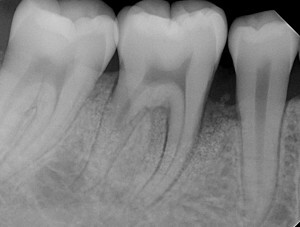 These procedures, known as osseous resective surgery and pocket reduction surgery have been successfully used to save teeth for many years, and while still a reliable and effective treatment option, they can sometimes be combined or replaced with newer and more advanced procedures that can regenerate bone loss caused by gum disease. 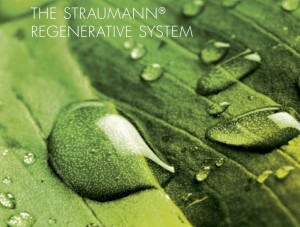 Straumann’s Emdogain is one of the newer bone regeneration options that have been developed in recent years. It works by stimulating the patient’s own bone cells and allowing the tissue to biologically regenerate itself. In patients where bone regeneration is possible, it is a relatively cost effective way to help patients keep their own natural teeth longer, by reversing some of the effects of periodontal disease. Dr. Levine can help determine if you are a candidate for bone regeneration surgery.